Run-of-the-mill, copy/paste events aren’t what professional event and party planners are trained for. If your clients didn’t want original events, they wouldn’t have approached you! You have a duty to produce events that truly correspond with the intended vision. Whether you’re creating a private or public event, you need to make sure you’re doing your best to make your clients and attendees happy. 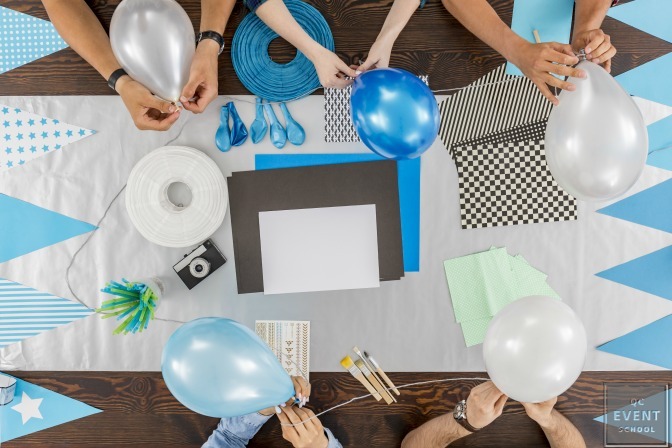 Read on to find out why it’s necessary to learn about event customization in your party planning courses. So why should you customize an event? Simply put, you’ll customize an event to achieve a desired goal or outcome. Different people have different goals. Being able to pick up on the subtle nuances of what they want and being able to achieve their goals is why they hired a professional. When you take the time to really work your clients’ ideas into an event, it shows great client service. You’re dedicating yourself to planning unique events that suit each client’s vision. You aren’t designing a single event concept and program and applying it exactly the same for each client. Creativity is what makes you a thriving, professional planner. Of course, you’ll encounter people who do want copy-cat events. But for private celebrations, personalization is what makes the client feel connected to their event. If the event isn’t done to their liking, they’ll feel a sense of disconnect, leading to dissatisfaction with you and your services. How Do You Add Customization? To create the best possible outcomes, customization should happen on all levels. It doesn’t mean you need to scrap everything you’ve learned up until now. The primary and secondary event components are integral aspects of any event. You’ll always need to think about the venue and its capacity, food or drink restrictions, and programming. Depending on the event, some elements might be left out (ex. Security personnel for a 10-year-old’s birthday party). But it comes down to how you interpret traditional event elements that will set you apart from other event planners. 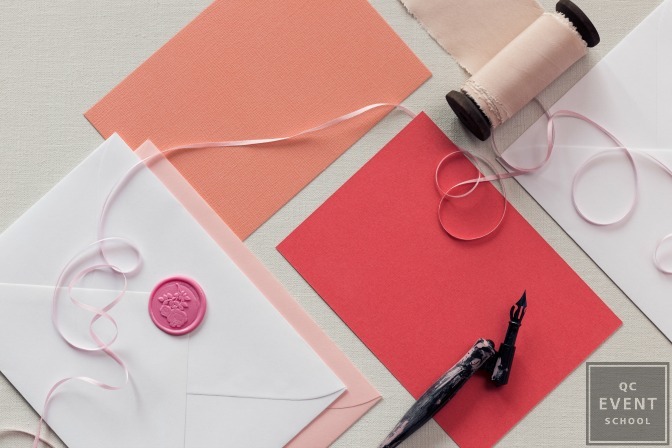 Anything from the overarching theme to the individual activities to the wax stamp on the invitations—none of these are off limits! Especially if the budget is a concern, you can put together amazing events with a smaller budget using a creative outlook. Private events such as milestone parties and weddings are client-focused. This means that your job is to meet the goals of your clients. These types of celebrations focus on one or two people. While ensuring a great guest experience is vital, the celebration is ultimately for your clients. If you’re working for a couple who likes to march to the beat of their own drum, you’ll spend a lot of time refining ideas and themes! On the other hand, public events focus more on the guest experience. The overall experience isn’t to celebrate the people throwing the event. Think music festivals and community holiday parties. The focus is to throw a celebration people would enjoy and be happy to participate in. After all, a unique experience makes the event worth attending, making marketing the event and selling tickets much easier. You may even be tapped to plan the same event again in the future. Yes, your hard skills are ultra-important. Without your professional training, you probably wouldn’t even know what an RFP is! However, besides knowing how to create budget spreadsheets and timelines, your soft skills need refining, too. Enter: the art of listening! How can you personalize an event if you don’t listen to the person you’re working for? Before you can fulfill your duties as a professional event planner, you need to have a strong grasp of your clients’ needs and expectations. One of the best ways to put your clients at ease is to always demonstrate that you’re listening to them. But don’t just look like you’re doing it—actually do it! Give them ample opportunities to voice their ideas and opinions. Actively engage with them. If something isn’t working, be honest with them. Your clients have big dreams, it’s important not to destroy them! But making promises you can’t keep isn’t exactly the first step in building a strong client relationship. Your clients don’t know how much everything costs, the complete logistics behind each component, and any legalities involved. That’s why they hired you, of course! The more truthful you are, the better they can trust you. Don’t shoot down their ideas. Work with them to develop their ideas into something else, or integrate them on a smaller scale. Tell us why you think customizing an event is important! Want to become the best at what you do? Check out our post on 7 foolproof techniques to become a better event planner!